Download the FREE “Daylight” Ringtone! 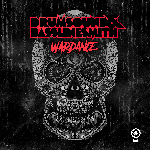 Merry Christmas from Drumsound & Bassline Smith! To celebrate we are giving away this FREE “Daylight” Ringtone as a gift from us! Just click the image, begin the download and add to your phone via your computer!